Adam Reed Tucker does... Rollercoasters! This is debateable as to whether it's strictly a LEGO topic, but thought it might be of interest and I don't remember seeing anything about it. Anyway. Was in the Watford store yesterday, and picked up a couple of issues of BrickJournal, and in the Sept '13 one, I read an article about Adam Reed Tucker (of LEGO Architecture fame) who has teamed up with a small company called CoasterDynamix. 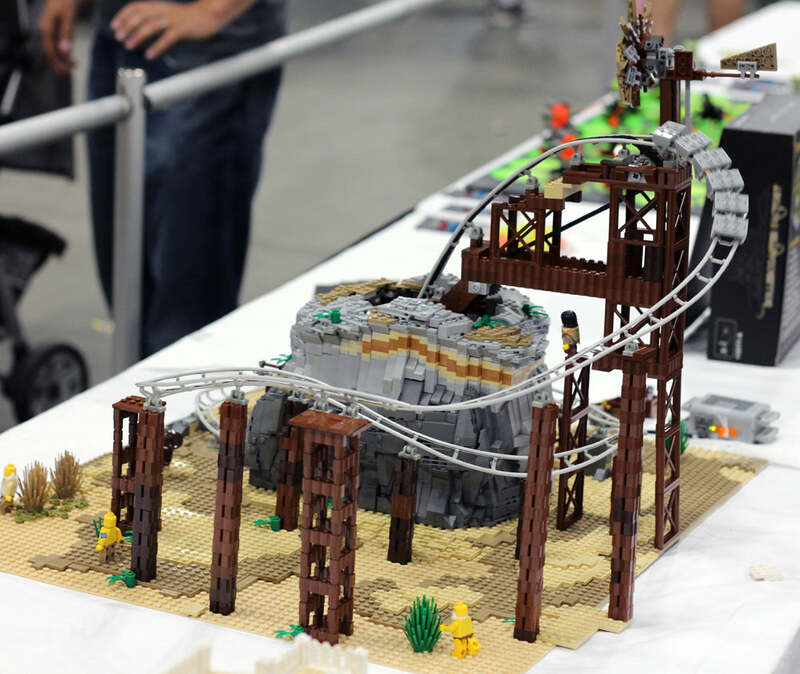 They make small model rollercoasters, Tucker's been thinking about it for a few years, and suggested to them that they might want to make it LEGO compatible. LEGO are keeping an eye on it, and while it's not 'canon', they've been allowed to package it so it looks remarkably similar to official LEGO products. It's a relatively small set, just giving you the rollercoaster mechanicals, while you have to build the bulk of the coaster from your own parts, but it looks sufficiently interesting that I've bitten the bullet and ordered two of the limited run of 1000 sets. It might be the start of something big, it might be destined to be a tiny footnote in LEGO history. Who knows? It looks like an interesting idea. But the cars don't look very substantial. I know you can probably build your own on top of the provided chassis, but I'd like to see what happens when a bit more weight is added to them. It's also a shame the scale is quite small. You might be able to get some microfigs in there, or just a minifig sitting on the chassis, but it won't look too good. And roller-coasters without people on look strange to me. It looks like a great start for something, as in for being a v1.0, I think it's got potential. Again though, and this is the problem with Knex coasters too, the cars just move too fast. This is inherent in the scale, of course, but there has to be a way to dampen the wheels or something to give a feeling of the momentum of a smooth flowing coaster. If that nut gets cracked, it'd be wonderful. I'm guessing it would be hard to maintain momentum whilst limiting speed though and would also make things like loops much harder. Similarly I guess you might get problems building on top of the chassis, not through the extra weight but instability etc. As it is I notice you get 40 feet of rail so presumably 20 feet of track but the examples I've seen appear much shorter than that. I love the concept but would want to see what it can do before spending 100$ on it. That is the whole point. He is only providing the connection points. You are supposed to build the structure and the cars out of your own LEGO. ^ But does it still look as good once you have done that? The video just shows the bare bones. Does it still work as a roller coaster once you have trebled the weight of the cars for example? The video should show it working as a system not just as bare bones. $100 is a lot to pay if it doesn't work as well once loaded up. Hmm, I thought it came with the structure, rocks etc as shown in the pic. It does not. $100 is a lot of money for not that stuff. I purchased one a couple of months ago, surprised they are still available, if there is only 1000 in the initial run it does not seem like there has been much of an uptake, that may mean LEGO never move forward with the roller-coaster theme. The parts are quality, but as can be seen you don't get a lot for your $100 and postage to this side of the world was $60! Coaster Dynamix also has a couple videos of coasters made with the set on their Facebook page: https://www.facebook.com/coasterdynamix?fref=ts Although none of them show cars built on the chassis. I'm in the process of accumulating the pieces the the coaster I've designed. Right now, I think it's probably a 3-year project. Thanks @SirBen , I thought it must have been flagged up somewhere. And thanks for the link to the Technic chains too - will order a few hundred of those. So, you purchase the roller coaster kit and can't run the roller coaster out of the box? Why is this $100 again? It contains 617 custom parts that you can't get anywhere else. Seems reasonable to me. Expecting everything you see in this photo for $100 is crazy! I didn't expect it to come with it, but at first glance, it seems like it did. Then to learn it doesn't even have the basic operational components to even lift the coaster up the hill? C'mon. We're going to have to agree to disagree here, because I don't consider 95% of those 600 pieces to be very substantial at all, no matter how custom they may be. If this thing has any hope of being marketable beyond a very niche segment, it will have to complete with Knex, which provides you similar to what you get in this kit, with a superstructure, lift chain and motor for about $30 or less. 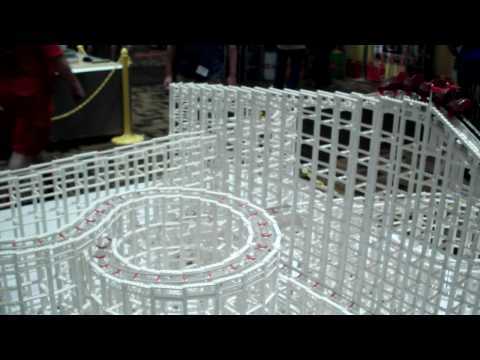 Does anyone know if CoasterDynamix is still existing as a company? The website selling the Lego rollercoaster 110171-A is still valid and I bought two sets online. I am now very worried that the transaction went through and I won't get any goods. Not sure whether they're still going, but I can confirm that the two sets I ordered in January turned up ok. Thanks for replying, v desperate now. Did you receive any confirmation email? I got the order number but no confirmation email since 2 days ago. Am very worried the company no longer exists. I've just checked my email, and I can't find any confirmation (I may have deleted it). The only mail I've got is the PayPal receipt on Jan 23rd. I know I definitely had the sets by Feb 9th, and that's transatlantic shipping. Thanks BooTheMightyHamster. I used my credit card to pay. May I check if you bought the set through CoasterDynamix as well? I tried all ways to contact them: email them, message them on facebook. But there are no replies so far. I am extremely worried. Yep - ordered direct from the website linked to in my original post. Website states 4 - 6 week turnaround time (although mine was a lot quicker). I'd say that if you've waited any longer than that, then speak to your credit card company, say that you haven't received the goods that you paid for, and they'll probably be able to organise a refund for you. Thanks Boo. Yup already tried emailing them. Apparently they're the European distributors for CoasterDynamix. They'd probably know if they are still trading. This should be incorporated with next years Fairground Mixer! Woah, there! I'm not sure what country you're in, but have you tried calling? I called just last month to inquire about stock and spoke with a nice woman over the phone. I was surprised myself that anyone answered, but they did! Thanks Crownie,Adzbadboy. I did not all as I am in Asia. Thanks all.